On this February 14, you do not need to spend too much to show that you want a person. Avoid getting into debt with material things. Excited by our willingness to spend, it is not surprising that brands seize the opportunity to increase prices on February 14. But just because each couple queues to use their money irresponsibly does not mean you have to do the same. Being careless with your money is not the best way to show your love or friendship or ignite romance and passion. In addition, instead of the monetary value of the gift, people increasingly appreciate the intention that motivates the gesture. In this sense, aspiring Romeos and Juliet should take note: large and expensive gifts lose their romantic appeal when they are not accompanied by an honest and deep feeling. On the other hand, what one gives with sincerity, something unique and special, is what that is gaining hearts. This is good news for your wallet. You can stop feeling stressed about not having exceeded the amount of money you spent on the gift of the fourteenth of February of last year. So that nobody accuses us of being bitter and cynical, we would like to congratulate our readers who have a healthy, happy and loving relationship with their partners, and who have beneficial and beneficial friendships. There is nothing wrong with wanting to celebrate love and friendship a special day or weekend. But to tell the truth, unlike other traditions, any beneficial psychological effect obtained from seeking the most expensive gift to satisfy social pressures has nothing to do with love. The daily attention, kindness and trust shown to your partner are much more important to maintain love than any reckless expense, however romantic. This means that the fourteenth of February, more than any other celebration, is simply an excuse for certain companies to fill their accounts. The intelligent couple, then, can make better use of their February fourteen by resisting the temptation to spend money just to brag to others that their romance is as empty and generic as that of others. On the contrary, you can plan authentic celebrations that have as a basis and sustenance a shared experience that emphasizes the unique qualities of your love. The best way to not spend more this February fourteen is with the realization of a celebration of daily love, spontaneous and meaningful. Companies just want you to buy their products, as they want it for the rest of the year, those who sell flowers and chocolates raise their prices to earn more, and you can show your love in many other ways. Countless marketing messages have left their mark on our memory, turning the fourteenth of February into jewels, flowers, chocolate, good food and drink, and many other consumer items that in the end have nothing to do with love or friendship. They tell us again and again that this is the way to celebrate the day and that is how you show true love. But if you really want to celebrate this day in a special way, in its purest form, you could try a thousand original ways to share your feelings with the person you love. The point is that the customs and behaviors that have become the modern hallmarks of February fourteen are not honest or sincere. Measuring love for someone in monetary terms speaks more of your purchasing power than the quality of your feelings. You could hate your partner and give him a Mercedes Benz because you expect this to generate a false image of your relationship towards the outsiders. The practice of spending money to show your love is the product of the work of astute marketers who have made us consider that money expresses feelings. Consequently, human psychology has allowed these practices to filter and take over our consciences and, therefore, our economic resources. We can not help but wonder how a day that is supposed to have to do with love often turns out to be full of unnecessary expenses, stress and situations of potential danger. Literally, breaks have been shown to occur more often in the weeks immediately before and after the most romantic day of the year. 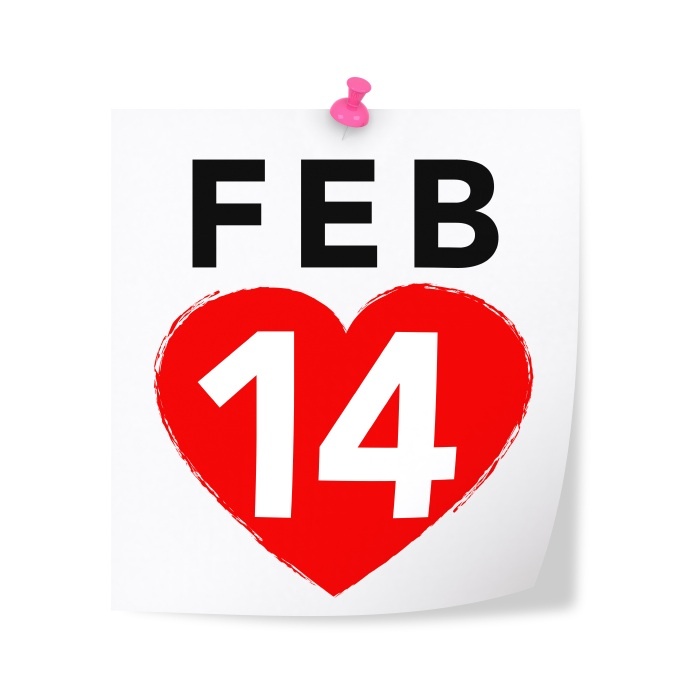 The researchers suggest that relationships that are dysfunctional to begin with become more fragile when viewed through the high expectations of significant moments such as February fourteenth. Therefore, couples with problems can spend more to understand the emotional deficiencies that exist in their relationships, in a gesture to improve or stabilize interpersonal links. If you are currently fortunate enough to have a relatively healthy and supportive relationship, there is an undeniable pressure to do something special and expensive to show your love when it arrives on February 14th. In a relationship that is not based on love, trust and love, material expectations are likely to weigh more heavily than they should. A survey last year revealed that up to 25% of men celebrate the occasion because of a sense of obligation or because they expected to be lucky in some new romance, rather than because they feel a commitment of loving reciprocity with their partner. Meanwhile, 13% of women said they decided to celebrate because everyone else was doing it. In general, this type of information lets us see that many people celebrate, buy and spend because others do and not because they are born a pure feeling that invites them to give and share. Often, this means giving in to social pressure and doing what other couples do. On the fourteenth of February, giving in to these pressures means paying exaggerated prices. We invite you to celebrate love and friendship in an authentic and sincere way. Do not try to compensate for emotional deficiencies with money, it does not help. It is much more a warm hug and a “I love you”. At Credifiel we have more articles like this one with relevant information that will help you make better financial decisions. At the same time, we invite you to download our Brief Guide on Financial Culture totally free.